Start a new tradition this year and make cascarones, the ultimate DIY fiesta and Cinco de Mayo party favor or decoration. Cascarones are empty egg shells that have been colored, filled with paper confetti, and sealed with a piece of colorful tissue paper. They were named after the Spanish word for shell: "cáscara." They’re typically used around Easter and Carnaval time, but are a festive addition to any party. 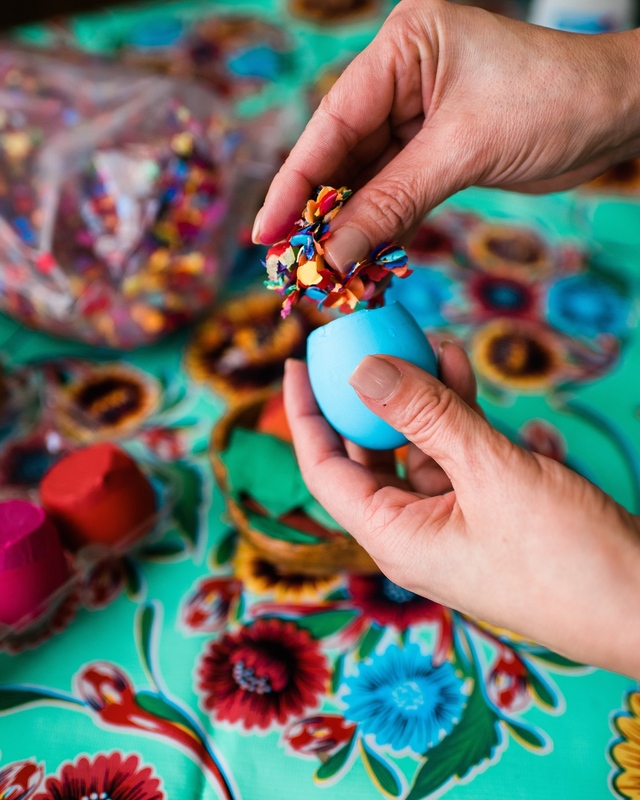 Making cascarones is a great way to gather friends, family, and neighbors together to celebrate Cinco de Mayo or Easter and share Latino traditions. I have fond memories of making cascarones with my brother, sister, and mother every Easter. Today, I continue that tradition with my own children. Once the cascarones are made, the real fun begins—gently cracking them over unsuspecting friends' heads. Legend has it that it's good luck if a cascarón is broken over your head. 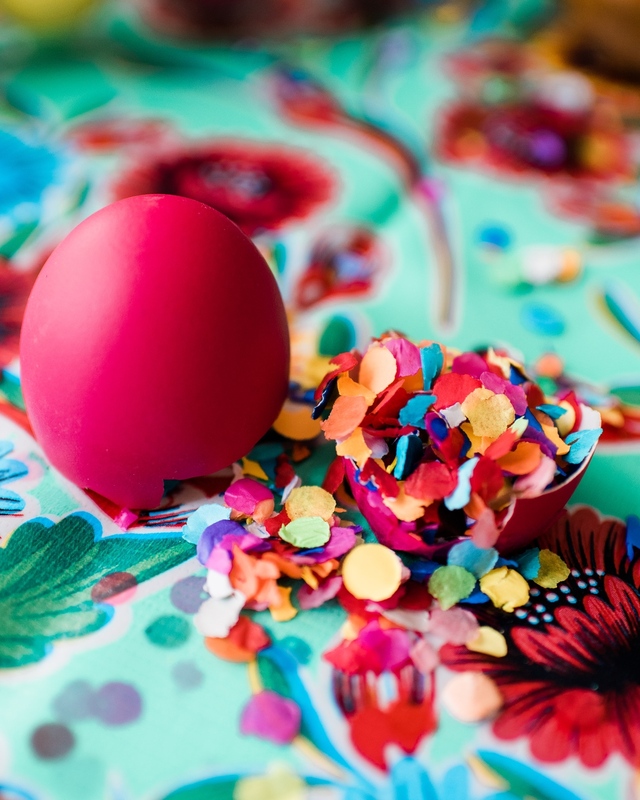 Prepare the egg decorating work area by covering your table with newspaper, craft paper, or a plastic tablecloth. Be sure to have plenty of napkins handly for little decorators to dry their hands on or to clean up any spills. 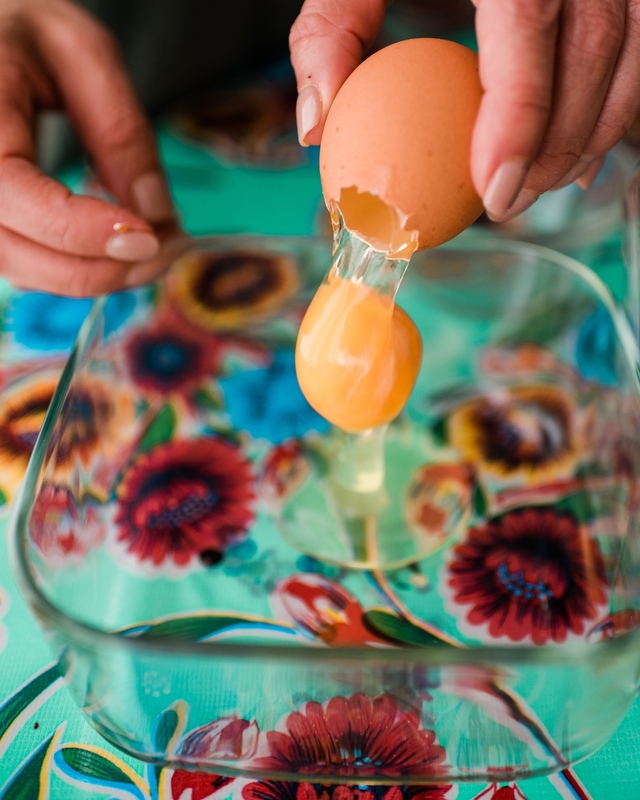 With a spoon, gently tap the top of an egg. Remove the bits of shell, peeling away enough to make a small 1/2-inch hole. 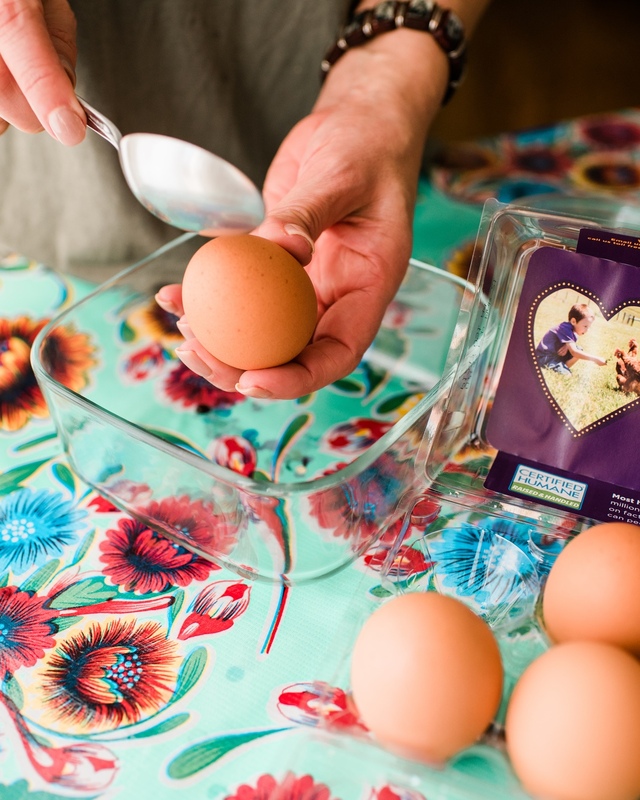 Empty the contents of the egg out into a bowl. 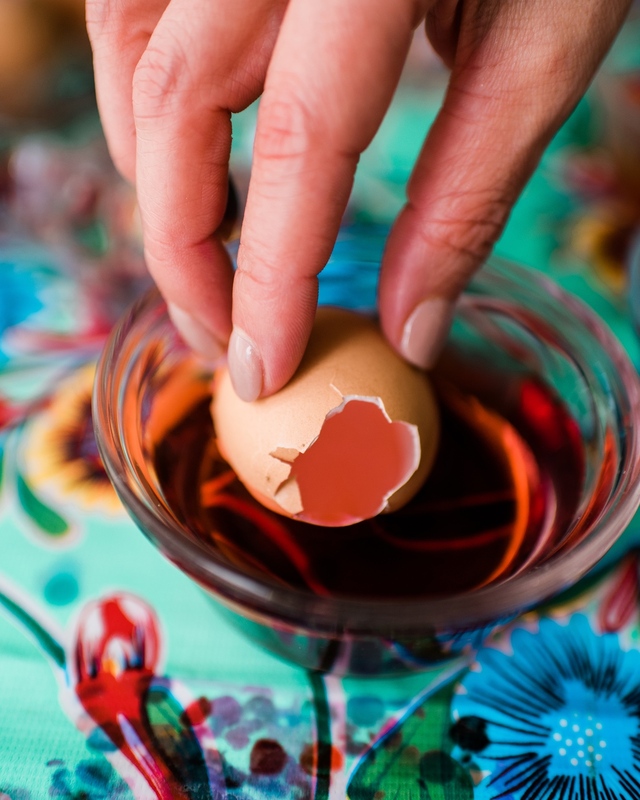 Thoroughly rinse the egg shell inside and out, shaking out excess water. 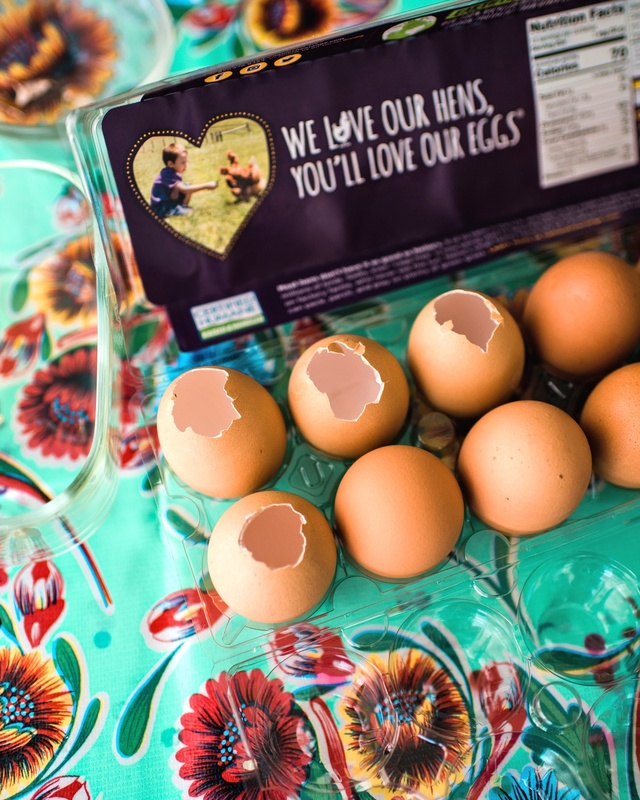 Let the eggshell air dry upside down in an empty egg carton. 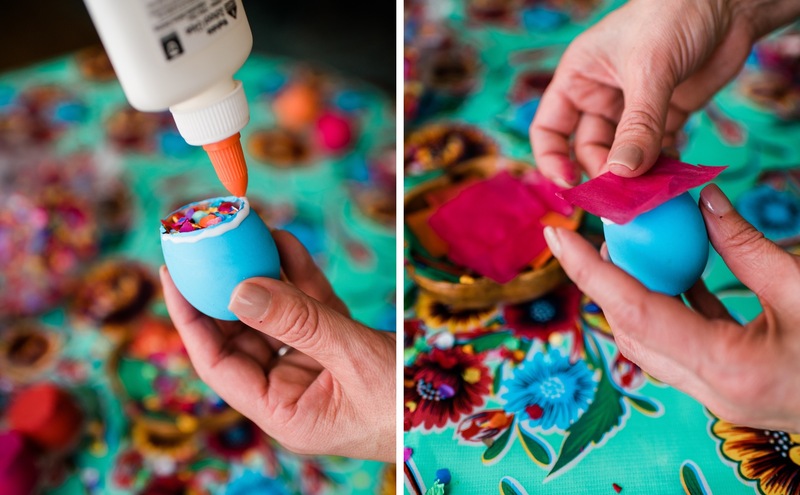 Dye the egg shells using an egg coloring kit or natural dyes in individual bowls. Add a splash of vinegar to the dye for vibrant color. Note: Brown eggs produce pretty earthy colors, and usually need to sit in the dye a bit longer. When the egg shells are dry, fill with confetti to the brim. Once filled, apply glue around the outside of the hole and cover with colorful tissue paper. Let sit until completely dry. Find an unsuspecting friend to sneak up on and gently tap your colorful cascarón over their head, then watch the confetti fly! Did you try making your own cascarones? 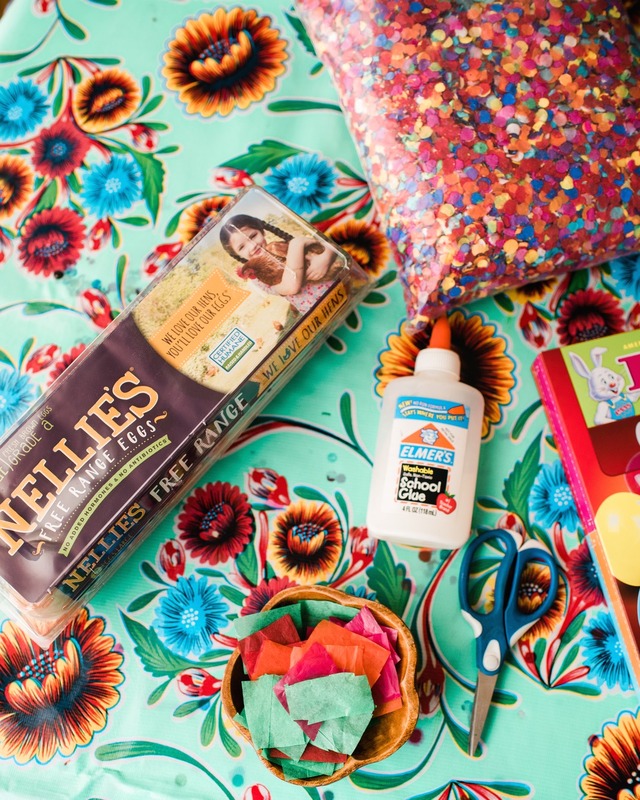 Show us the colorful results by tagging #nelliesfreerange.